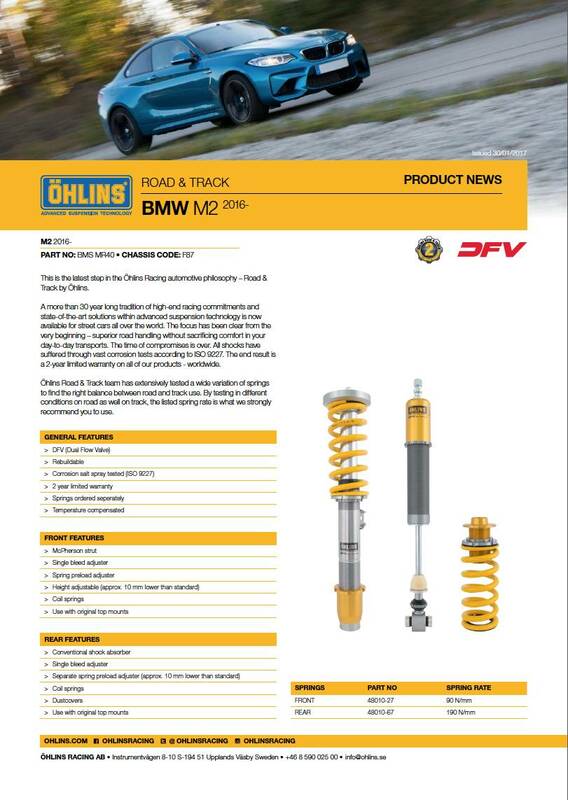 Suprised to hear that from Ohlins, I dismissed them as I didnt like just a 10mm drop, the eibach springs drop it 25mm which seems perfect. Will see how the bilstein prevails. If i remember I will stick a go pro at the back wheel for bofore/after on the same stretch of road to see the difference in body control over bumps and general driving. Ohlins R&T wouldn't be my first choice, they are very popular on the lancerregister and quality appears to have went downhill with frequent rebuilds needed. sawda wrote: Black Friday deal was very good indeed, and almost regret not going for it. I did email rybrook about a week ago to see what the deal is now but still not heard back. Anyway deposit down for the PSS10s . Feel confident they will be a huge leap forward so lets hope im not dissapointed. From the feedback from the MPC it seems that coilovers are the way forward so will report back once fitted and driven around. Got a couple of tracks days booked too so should be fitted well before then. Below is the OHLINS spex which show 10mm, and nope havnt considered ACS RS. You won’t regret going for PSS10, I have them on both my cars (F30, F22), and they are incredible bang for buck. assuming a reasonable drop is that arch work required with the MP setup or was that purely down to adding the spacers? HSD C/overs go much lower than MP c/overs and they are running spacers to mimic the offset of the 20” wheels due to be fitted soon. Arch fettling is required to clear the wheels as opposed to lowered suspension. Last edited by Blind Pugh on Sun Jan 21, 2018 7:48 pm, edited 1 time in total. Last edited by sawda on Fri Jan 19, 2018 10:58 pm, edited 1 time in total. The HSD coilovers will allow any height you wish, from factory to very low, large range of adjustment. I have them on my M135i. Good to know - how much were yr HSD coilovers and are they 1- or 2- or 3-way adjustable ?